LASIK Surgeon: Dr. Todd Morason, M.D. 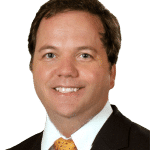 Meet Dr. Todd Morason, M.D, an independent laser eye surgeon at The LASIK Vision Institute locations listed below. Schedule a free consultation today. Dr. Morason received his medical degree from the University of Cincinnati College of Medicine in Ohio and completed his residency, as chief resident, and the Indiana University School of Medicine. He interned at the University of Hawaii and later completed a fellowship in Cornea, External Disease and Refractive Surgery at Albany Medical College in Albany, New York. It is there that he also served as Assistant Professor of Ophthalmology and Residency Program Director. Before joining The LASIK Vision Institute, Dr. Morason worked at TLC Laser Eye Centers, LASIK ProVision, and LASIK MD. In addition to his current work at The LASIK Vision Institute, he is also on staff at the SUNY Upstate Medical Center. To date, he has completed over 15,000 ocular procedures including LASIK, cataract, and corneal transplant procedures. Dr. Morason has received numerous academic distinctions over the years including a grant from the Howard Hughes Medical Institute and a research award from the Castroviejo Cornew Society. His research has been featured in multiple academic journals, and he has given numerous lectures and presentations at ophthalmological conferences over the years.